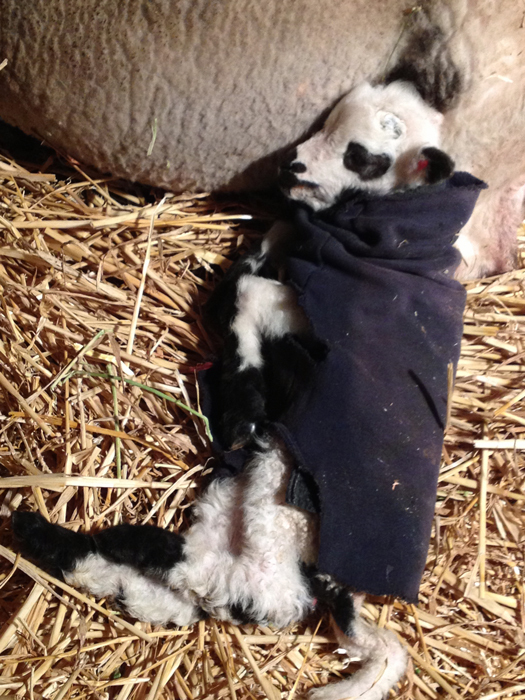 This week has been busy, we are up to 12 lambs! 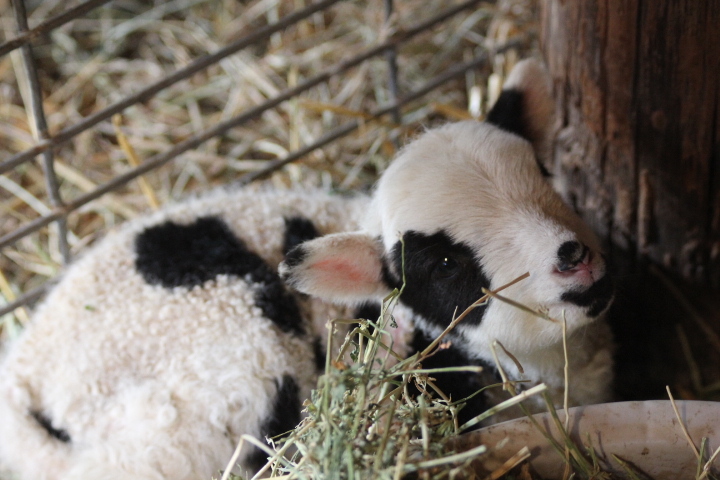 While I was cleaning lamb pens this morning, I was thinking about the week and realized there were a bunch of firsts that happened in the barn this week. 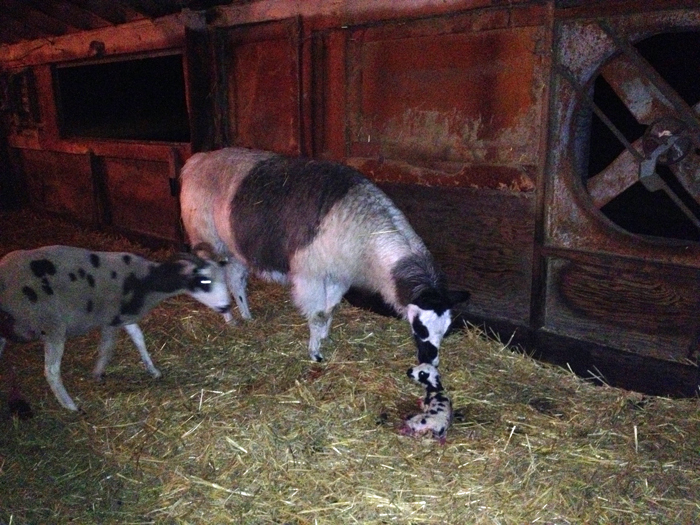 this is what I found when I came home Thursday morning, I checked an hour earlier and she hadn’t lambed yet! This is a big first for Liberty, she has always had singles! When I found them, they were everywhere! 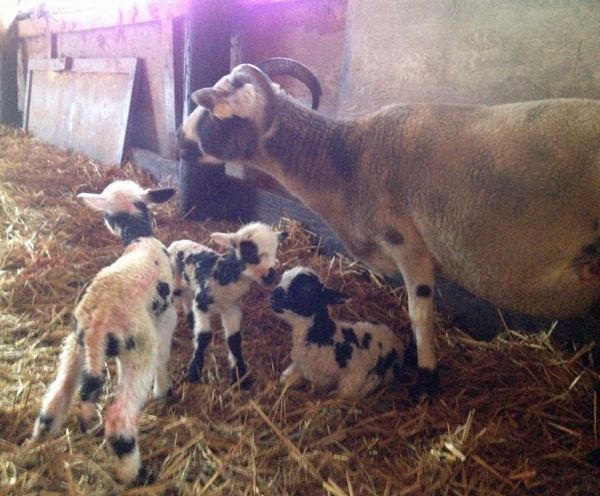 The little one was being taken care of by another ewe, the big girl was with the flock, and the boy was with Liberty. The girls were vigorous and screaming for mom, the boy was weak and chilled. 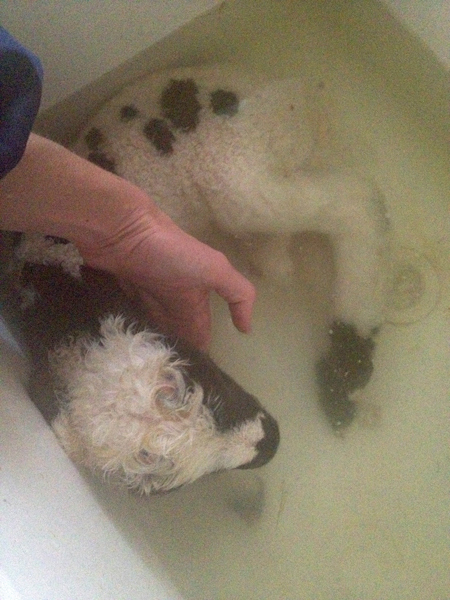 I rubbed and dried and tried to get him up and nursing, but he preferred to lay there and whine. He didn’t have much of a sucking reflex and this is a big concern with a newborn lamb. I headed to the house with him to warm him up. 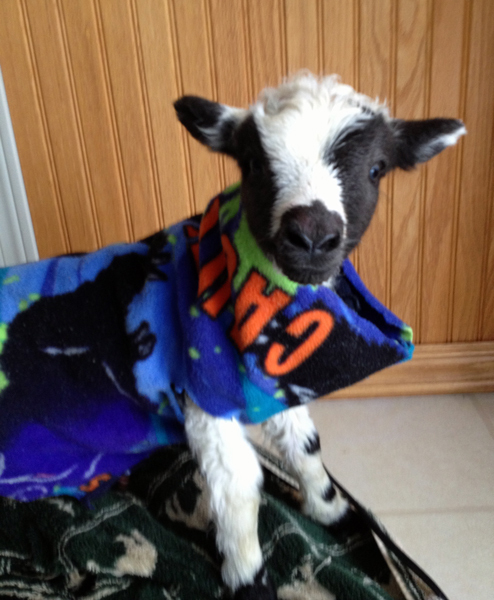 What’s the fastest way to warm up a lamb…. in a warm bath! Another first for me 🙂 His whining stopped shortly after putting him in the warm water and he started perking up. 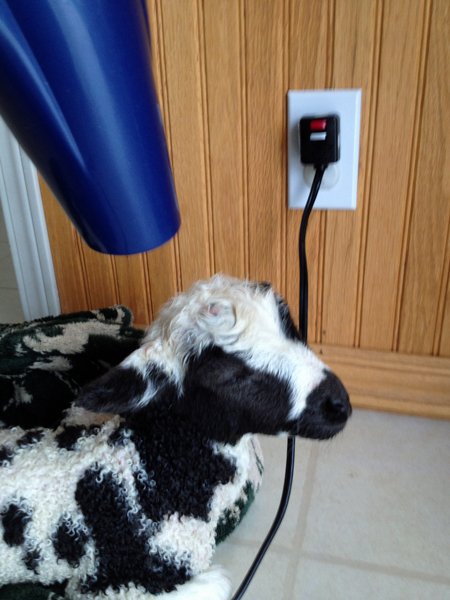 I needed to get him dry…what’s the best way to dry a lamb, you ask…. yep, a blow dryer! Definitely a first time I have used my blow dryer on a lamb! He seemed to enjoy the warm air and really started to get antsy. That looks better! He got a little fleece jacket to keep him warm and I took him back to mom. 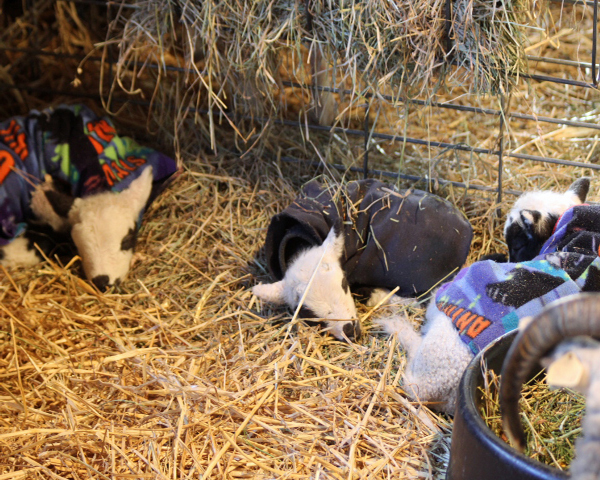 Once we got back to the barn, I gave the girls little fleece jackets too and made sure everyone was eating. I grabbed my scale to see just how small the little girl was – 5 pounds! Her brother and sister each weighed 9 pounds! No wonder she felt light. 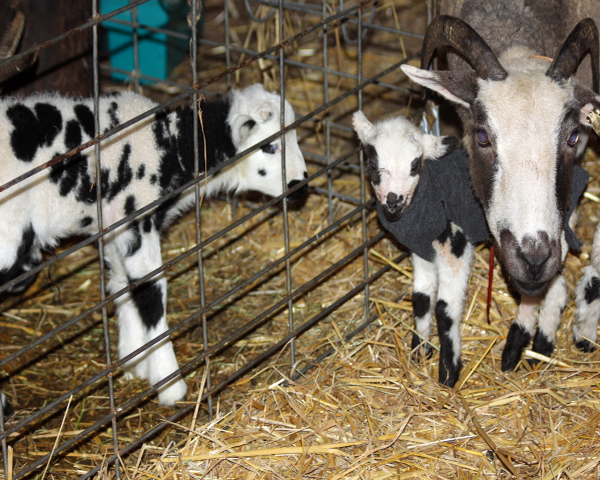 Here she is next to Broderick, the big boy born a few days earlier. Bellies full and sound asleep. he was actively cleaning the lamb! Opal didn’t like me being so close, but I had to take a picture of him with the lamb. Once I backed up, Opal went back to cleaning and seemed to appreciate the help from Magoo. 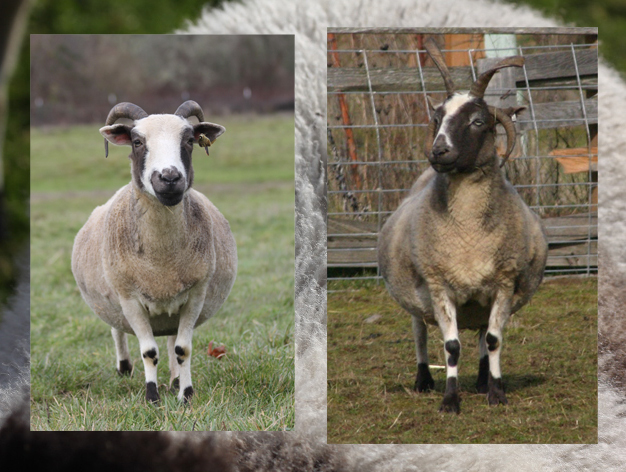 More information on our lambs can be found on our website. How my stinking HECK!!!! That little boy warmed up so nice and super cute lambie jamie!!! May February be warmer for me and my girls! AWh so many cute fuzzy faces! Thank you so much for letting me live your farm life vicariously! I am on the road now, have been for many months, and while I am loving what I’m doing, another part of me yearns for the daily life on the land. I’ll be back on it one day. Shannon I must have done warm baths 6 or 7 times. Mostly with the CVM lambs. 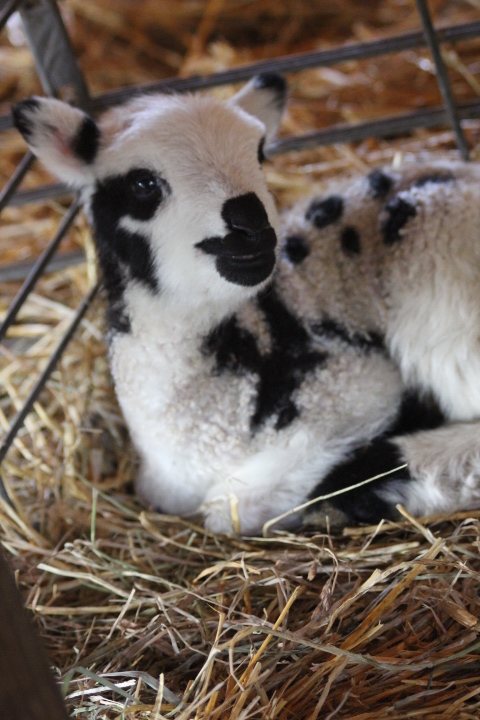 They always seem to lamb on the coldest days outside. I had only one that didn’t make it. The biggest concern I had was, will the mom take the babies back once I washed off their sent and they had not problem. Those Jacobs babies are so stinkin cute! We are keeping our fingers crossed that our girls will be as productive as yours this year. We got a very late start on breeding season.